The Steamer600 projection system believes Brendan Rodgers could be a positive contributor to the Rockies this season. The organization took a step toward making that a reality Wednesday. The Rockies have invited MLB.com's No. 10 overall prospect, No. 95 Colton Welker and 17 others not on the 40-man roster to Major League Spring Training camp, Colorado announced. 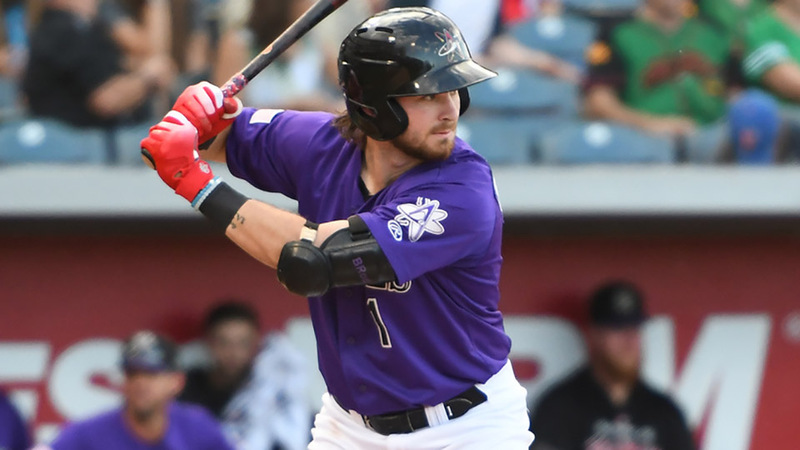 Rodgers was taken by the Rockies with the third overall pick in the 2015 Draft and has already climbed to Triple-A Albuquerque. The 22-year-old infielder hit .268/.330/.460 with 17 homers, two triples, 27 doubles and 12 stolen bases between that club and Double-A Hartford in 2018. Though his primary position is shortstop, Rodgers also made 21 starts at third base last season and 20 more at second base. The right-handed slugger could be a plus hitter with above-average power, but is blocked at short by Trevor Story and third by Nolan Arenado. Following the departure of DJ LeMahieu in free agency, second base could make the most long-term sense for Rodgers. This is Rodgers' second non-roster invitation to Spring Training. Welker, a third baseman, will be heading to his first Major League camp almost three years after he was selected in the fourth round of the 2016 Draft out of Stoneman Douglas High School in Parkland, Florida. The right-handed slugger has been impressive at the plate in his first three Minor League seasons and is coming off a 2018 campaign in which he hit .333/.383/.489 with 13 homers and 32 doubles over 114 games at Class A Advanced Lancaster. However, each of his three Minor League stops (Lancaster, Class A Asheville, Rookie-level Grand Junction) have hitter-friendly home ballparks, and there is some pressure on Welker to show he can hit in more neutral environments, especially after producing a .991 OPS at home in 2018 compared to .750 on the road last year. Welker has some experience at first (six games in 2018) but has the plus arm and solid glove to stick at third. Being a little further behind Rodgers on the depth chart, he isn't under immediate pressure to change positions and could be a long-term option at the hot corner should Arenado depart Denver as a free agent next offseason. Eight other Rockies prospects ranked among the system's top 30 received non-roster invitations -- No. 3 Peter Lambert, No. 11 Tyler Nevin, No. 15 Ben Bowden, No. 21 Rico Garcia, No. 24 Sam Howard, No. 25 Brian Mundell, No. 27 Dom Nunez and No. 29 Bret Boswell. The other non-roster invitees are left-hander Evan Grills, right-hander Chi Chi Gonzalez, right-hander Matt Pierpont, catcher Brett Nicholas, catcher Chris Rabago, catcher Brian Serven, infielder Peter Mooney, infielder Mark Reynolds and outfielder Michael Saunders.